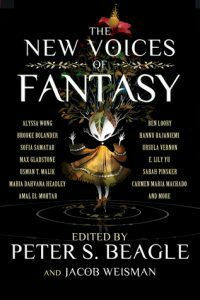 Edited by Peter S. Beagle and Jacob Weisman, The New Voices of Fantasy is a solid collection of short stories introducing new and familiar readers of fantasy to relatively new writers to the genre. I say relatively, because a good portion of these appear to have been originally published in 2014 and 2015, and it’s 2017 now, so that’s a few years ago now. 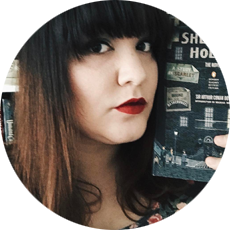 However, I feel like I read a lot of fantasy and science fiction and follow quite a few of these writers on social media (and follow writers who have introduced some of these writers to me), so those who are either not active on social media or casual readers of the genre will find these to be “new” writers! My favorite stories in the collection are: Brooke Bolander’s “Tornado’s Siren” that’s about a tornado who falls in love with a girl; Max Gladstone’s “A Kiss With Teeth” that’s about Vlad the Impaler living in the modern age and the struggles he faces in deciding whether or not to remain appearing like a human or to give into his vampiric tendencies; and Ursula Vernon’s “Jackalope Wives” that’s about shapeshifters that brought me to near-tears by the end with longing. Several of the stories verge on the science/speculative fiction aspect, but genre is something so easily malleable and never a definite thing. It’s a perfect fall read as so many of the stories are terrifying, dark, and beautiful. Thank you to Netgalley for a review copy! All opinions are my own.